College is an opportune time to transition to natural hair. You are focused on laying the foundation for your career, socializing, and learning more about yourself. Many naturals transition in college because it is a time to explore and build your confidence. Jaylenarielle from Curly Q&A is college student who is one year into her natural hair transition (congratulations) and she has a few questions about length retention. Hello, I am a college student and currently exactly a year into my transition. Can any body give me advice on a hair care routine for healthy length retention. Such as: How often I should be washing, what products, moisturizers, frizz control, etc. Also, suggestions on hair type are helpful too. Thanks, I will answer your question in return if you like me to! A clean scalp makes for healthy hair. Remember to cleanse your hair with a gentle, sulfate-free shampoo either once a week or every other week. Never tousle your hair upward because that induces tangles. Hold your ends taut with one hand while the other hand massages the scalp to lift debris and product buildup. The key to a successful transition is proper protein-moisture balance. The line of demarcation (where the processed hair meets the virgin hair) should not experience dryness or weakness. Consider deep conditioning once a week and incorporating protein treatments or protein-rich products in your regimen. 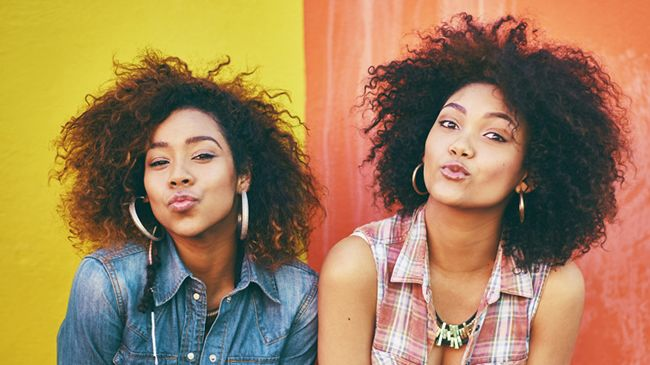 Some moisturizing deep conditioners also contain strengthening properties, so check the ingredients list for hydrolyzed proteins and ceramides. If your moisturizing and styling products are protein-free, then use a protein treatment periodically. If your deep conditioner is formulated with proteins and you also have proteins in your moisturizers and leave-in conditioners, then you may be able to forgo the protein treatments altogether. If you are on a budget, consider making your own deep conditioner with baby food bananas since it has not lumps, honey, glycerin, and penetrating oils like coconut oil, avocado oil, and olive oil. For a DIY moisturizing, protein treatment, try Greek yogurt mixed with the oils previously mentions and honey. I cannot stress the importance of gentle detangling. Dry detangling is simply not an option. You want the hair to be damp so that it is pliable but not sopping wet, as the hair is too elastic and could break. Many naturals and transitioners keep a DIY cocktail spray bottle with water, oil, and a slippery conditioner to help them detangle their strands. Remember that sectioning is key and work your way up the hair shaft from ends to roots. Depending on your length and density, this could take minutes or hours. A wide tooth comb was a great tool when I was transitioning. Most women who successfully long-term transition wear low maintenance styles. You mentioned not wanting to wear a sew-in, which is fine, but maybe you could consider extension twists; the lower the manipulation, the great decrease in breakage. If you do not like extensions at all, then alternate between buns and other updos that prevent your hair from being loose and susceptible to tangle. As a means of switching up your style, you can also try roller sets. Although most roller set styles are worn loose, the cast from the styling foams and lotions will help keep your curls intact for 1-2 weeks with little frizz. Prioritizing smooth edges can cause breakage at the root and even traction alopecia. Your edges and nape areas will be prone to frizz as your virgin hair grows in, and it is best to let it be. If you really want smooth edges, use your fingers to smooth a little water and edge tamer along your hairline with your fingers and then secure it with a satin scarf before bed. You should wake up to smooth edges. Don’t skip out on your trims. Go to the salon every 3-4 months so that a licensed cosmetologist can trim your hair at the rate it is growing. I worked at a salon when I was in undergrad and witnessed women who transitioned for a year and six months with no trim having to do a big chop because they had split ends that surpassed the line of demarcation. The point of transitioning is to not big chop, so make sure you are maintaining your relaxed hair as well. Do you have any tips for transitioners in college?